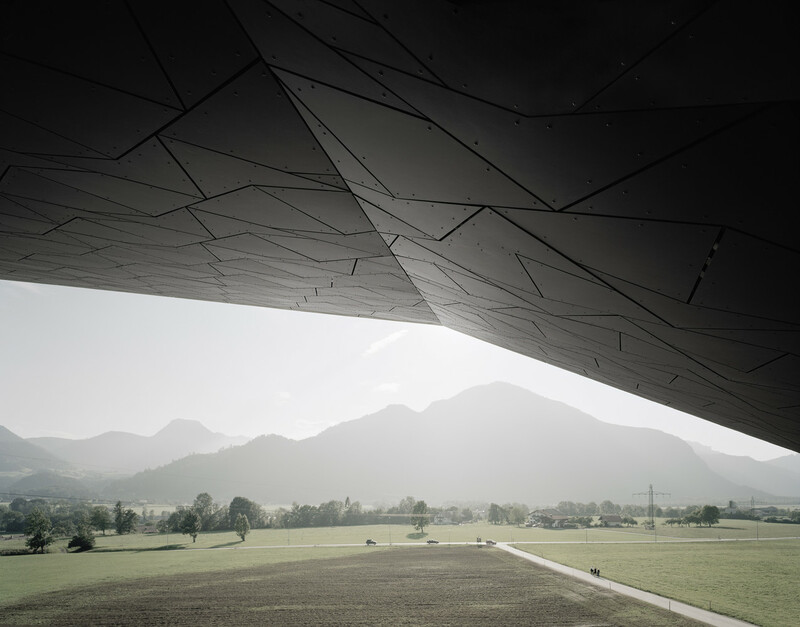 Pluck these structures out of their environments and photoshop them onto a Martian landscape and you’d never know they’re real, physical buildings interplaying with ordinary scenery in cities all over the globe. 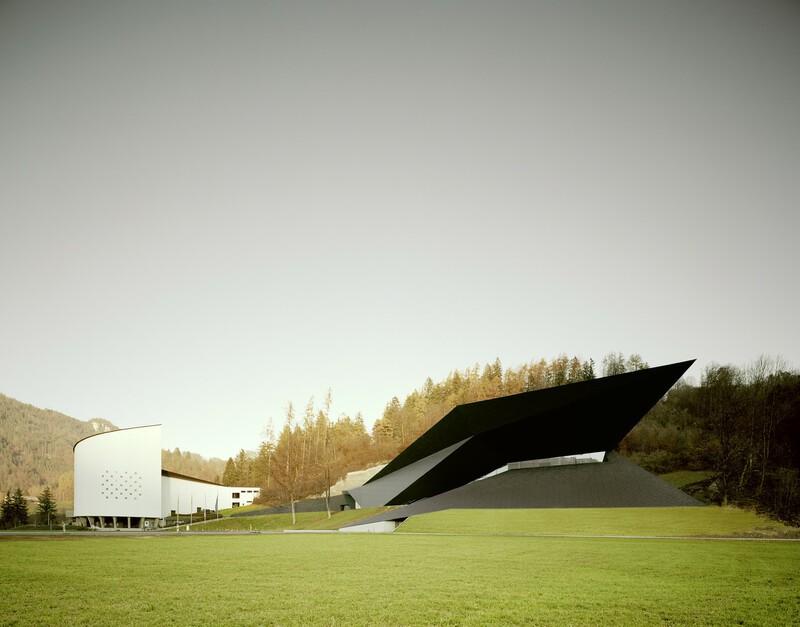 Some strike a somewhat ominous tone while others are almost cartoonish in their Space Age aesthetics. 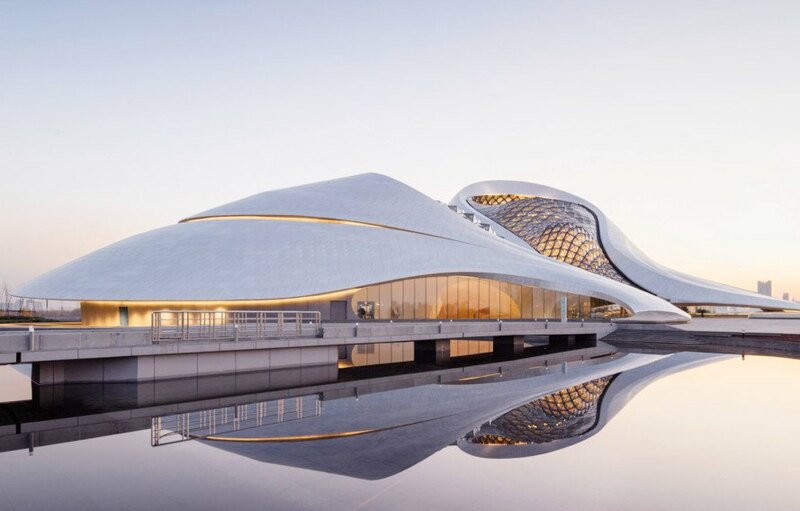 Many of these alienesque buildings are designed by just a handful of architecture firms with a flair for dramatic silhouettes – Zaha Hadid, MAD and Delugan Meissl being chief among them. 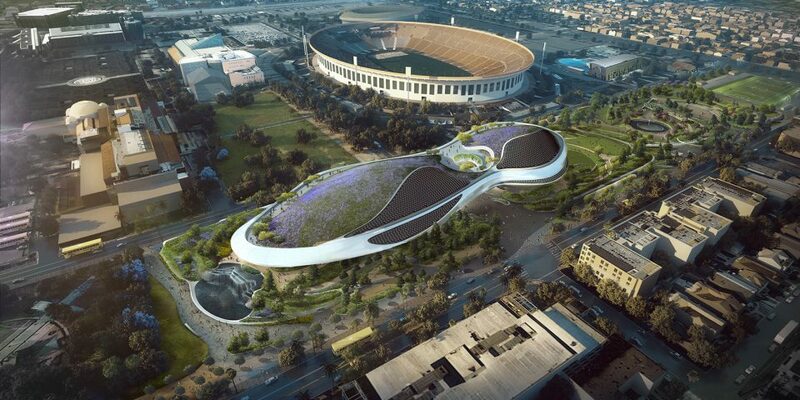 Fittingly enough, MAD Architects’ Lucas Museum of Narrative Art looks like a futuristic spaceship landing on a grassy patch of land in Los Angeles. 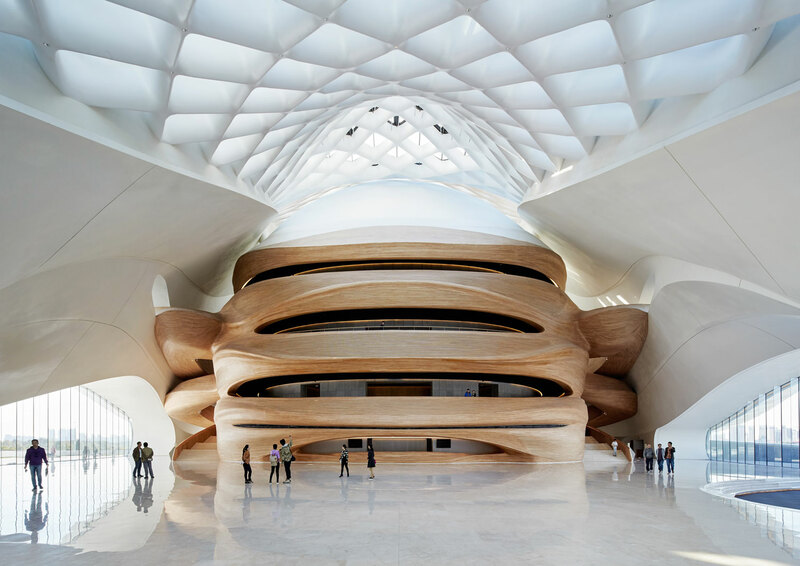 The building, which is in the early stages of construction, will contain at least $400 million worth of paintings, illustrations, movie memorabilia and more. 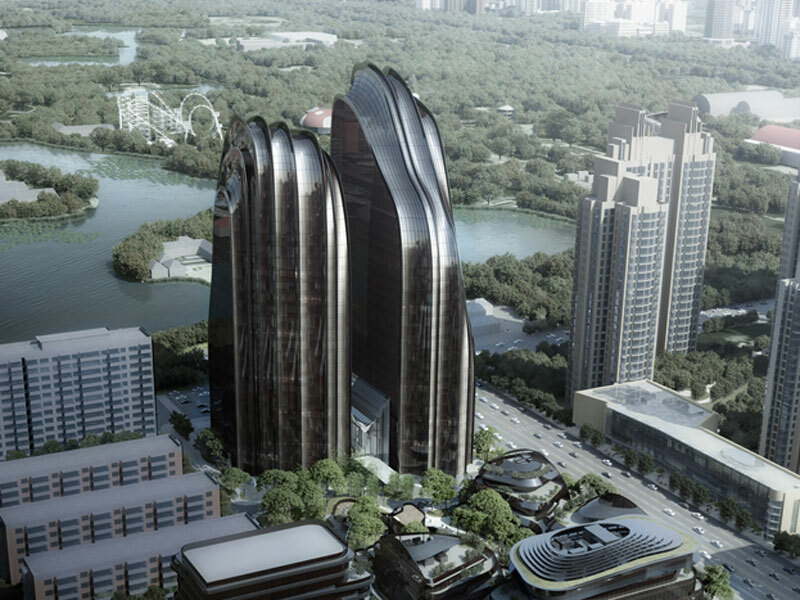 It’s expected to open in 2021. 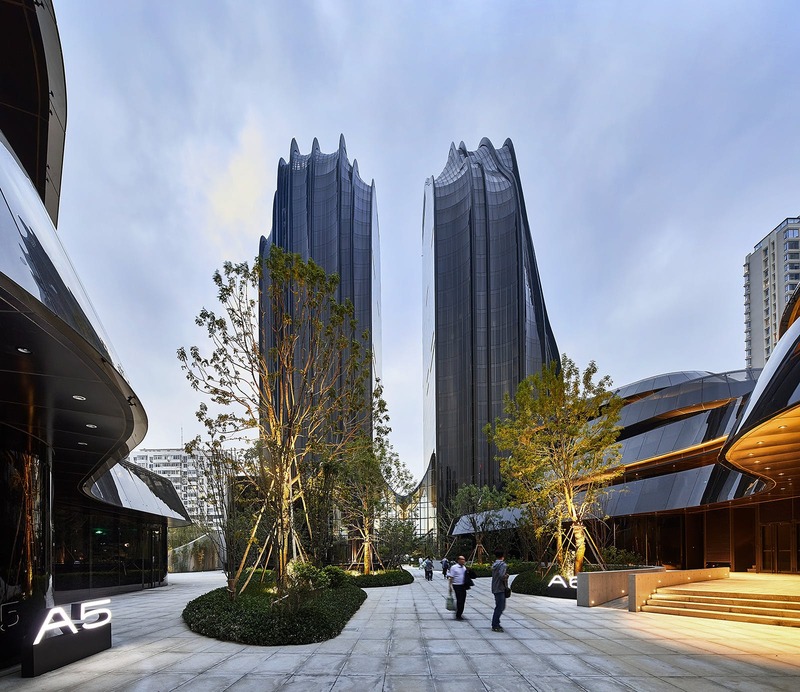 As Reddit has already noticed, there’s something distinctly alien about the Chaoyang Park Plaza in Beijing. 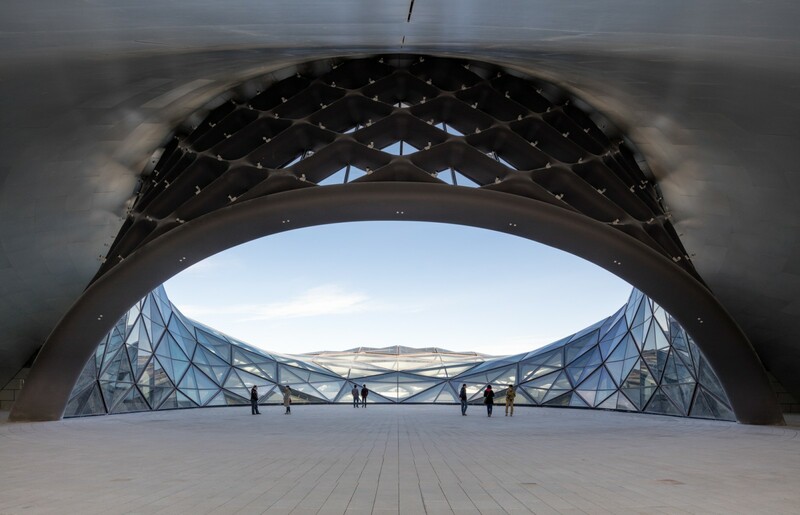 Also designed by MAD Architects, the complex fuses the ‘artificial landscape’ of the city with shapes from China’s natural scenery like mountains, rocks, valleys and forests. 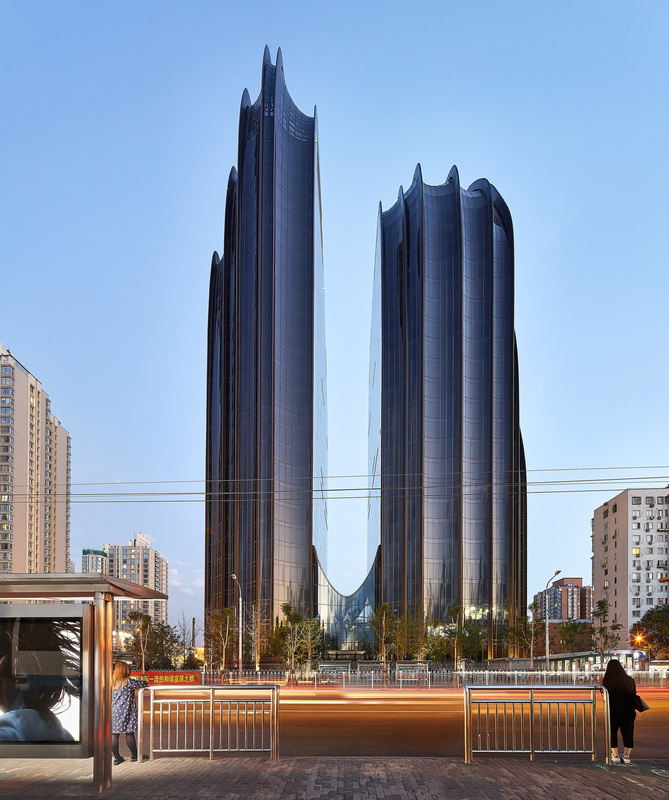 The asymmetrical towers are like two peaks rising up from the edge of the lake at Chaoyang Park, with a transparent atrium connecting them at the center. 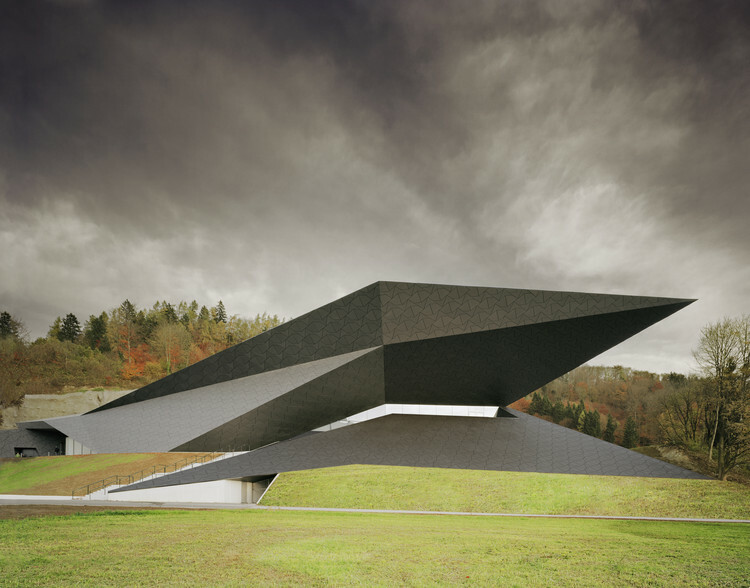 Delugan Meissl Architects explain that the unique shape of the Festival Hall in Erl, Austria takes inspiration from the topographical conditions around it, relating both to the rock formations of the landscape and the existing Passionsspielhaus nearby, which was built as a Christian theater in the 1950s. 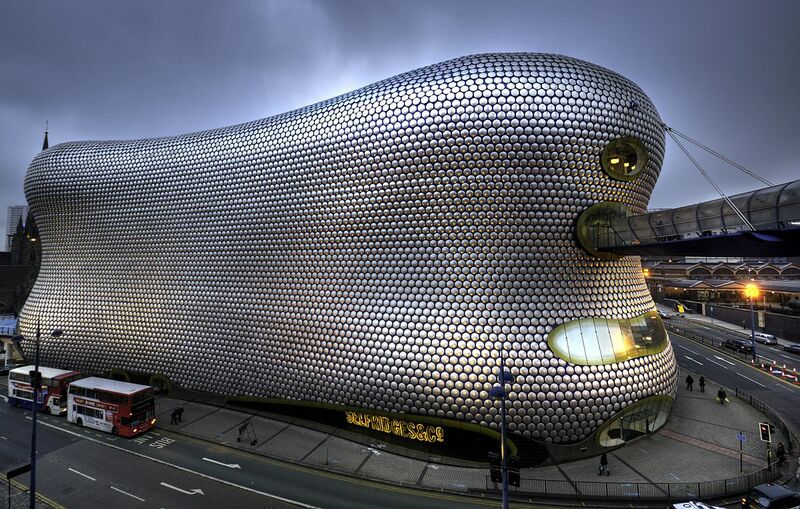 Part of the Bullring Shopping Center in Birmingham, England, the Selfridges Building has become an iconic (if bizarre) work of ‘blobitecture,’ its undulating, organic form covered in aluminum discs often compared to the body of an armadillo. 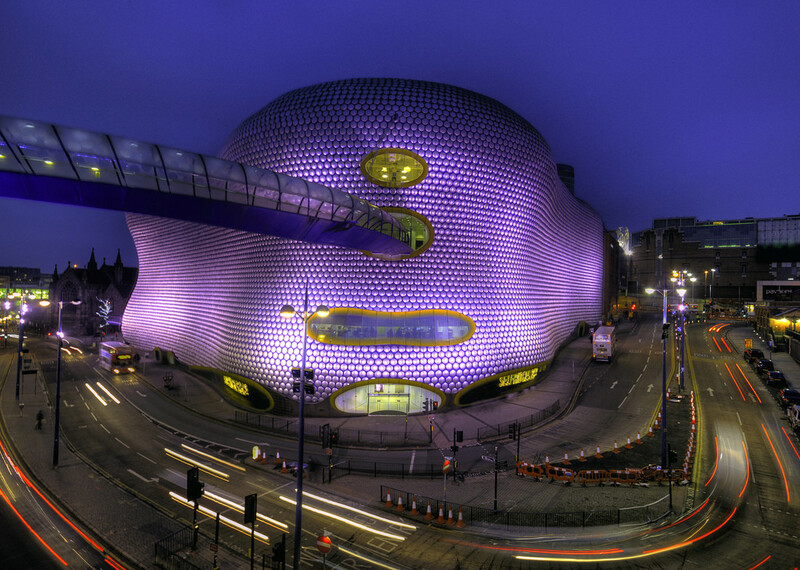 Designed by Future Systems (Amanda Levete and the late Jan Kaplicky,) the Selfridges department store stands in sharp contrast to the more traditional architecture that surrounds it. 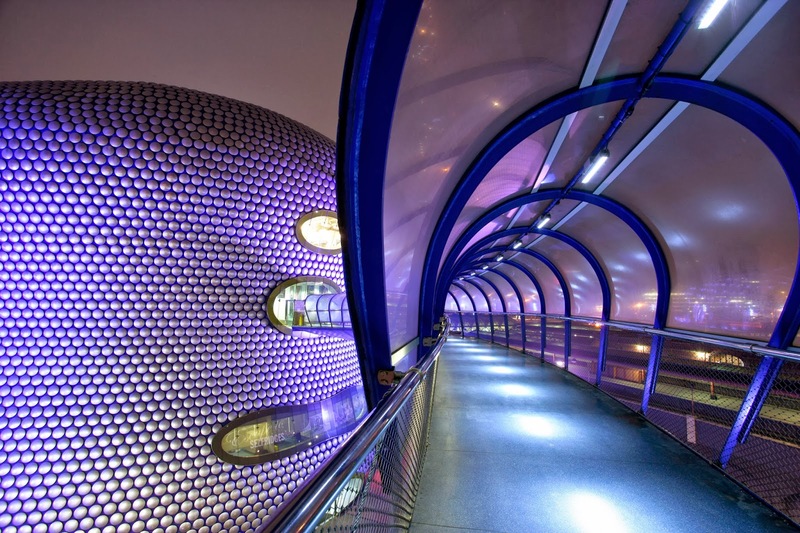 The skybridge to the parking garage next door looks a bit like a long nose stretching out of its one-eyed face. 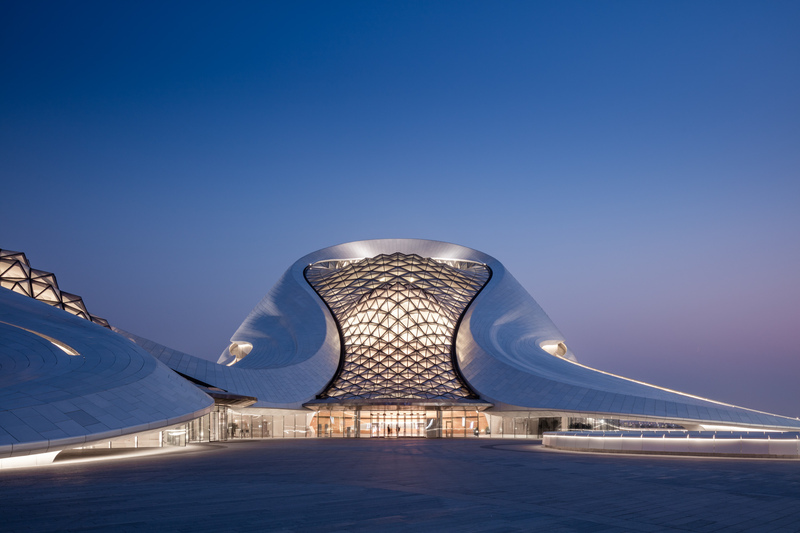 Beijing-based MAD Architects wanted the Harbin Opera House to look like an organic outgrowth of the landscape, and it does – but in a rather sci-fi way. 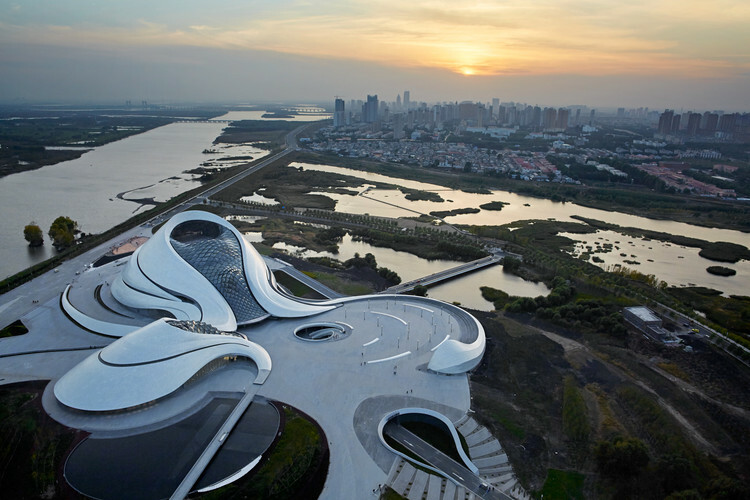 Encompassing nearly 850,000 square feet on a total of 444 acres, the opera house rises from the watery site like overgrown artificial sea shells most of the year, but virtually disappears when it snows. 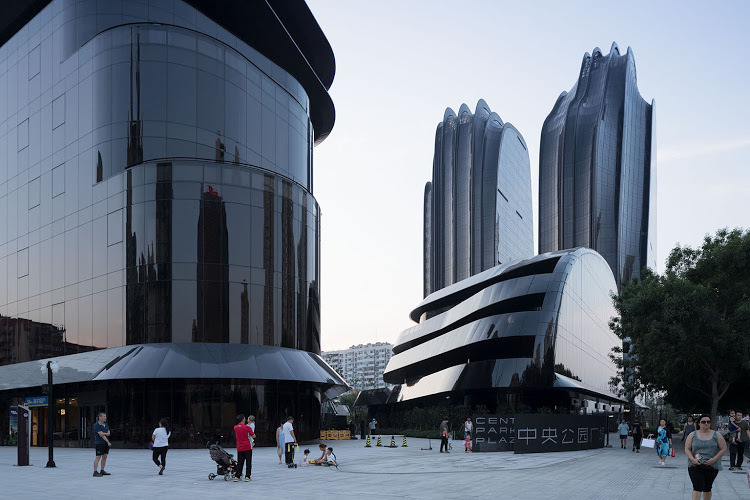 Staircases lead from ground level all the way around the exterior of the buildings to their peaks for views of the city. 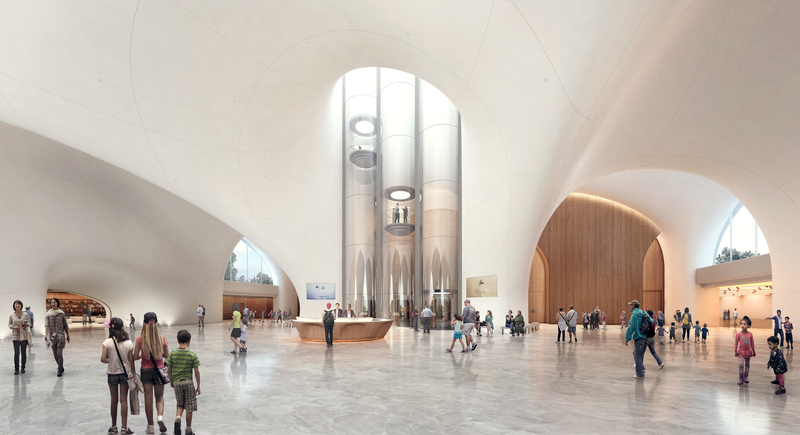 Inside, honeycombed ceilings bathe the glossy white interiors with daylight.